Bengaluru (Karnataka) [India] March 20 (ANI/NewsVoir): The Den Bengaluru, Sanctuary Spa, has brought together a list of therapies to detox skin and hair with the onset of Holi. Lime Leaf and Natural Honey Salt Body Scrub (30 Minutes), revitalizes and cleans skin with minerals and vitamins. It cleanses and exfoliates skin as it is rich in anti-oxidants and vitamins C and E respectively. Scalp Massage & Wash (30 Minutes) is a nourishing scalp massage for deep relaxation, unwinding, and de-stressing therapy. Designer Lift Facial (60 Minutes) is a facial which cleanses, pampers and rejuvenates the skin in order to make it look healthy and supple. The Den also offers On-The-Go treatments inclusive of a wide range of massages for neck, feet, scalp, and eye. 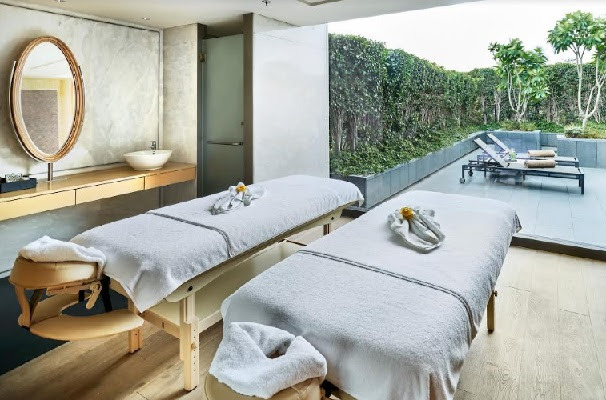 Moreover, the spa offers basic salon treatments for anyone who needs a quick pampering session including manicure, pedicure, and other beauty treatments. Apart from the spa and massage therapies, an appointed consultant is also available to suggest treatments for skin rejuvenation and skin refinements. Bengaluru (Karnataka) [India] April 26 (ANI/NewsVoir): Powered by Aptech, India's premier educator in high-end 3D animation and visual effects, arena animation has today announced the launch of its 14th Center in Bengaluru, Yelahanka.